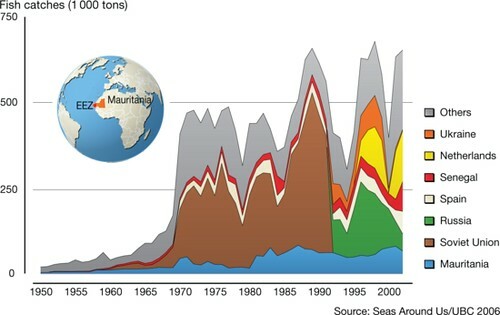 Marine fisheries represent a significant, but finite, natural resource for coastal countries. For some countries like Mauritania, the majority of the catches belong to international fleets. This represents a significant income for the country in question, but at the same time oppurtunities for value-added services and domestic employment are lost.